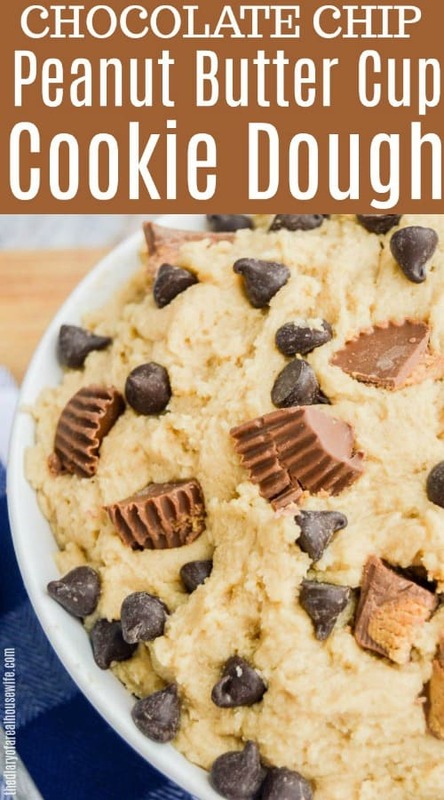 Cookie dough so good you want to eat it with a spoon! 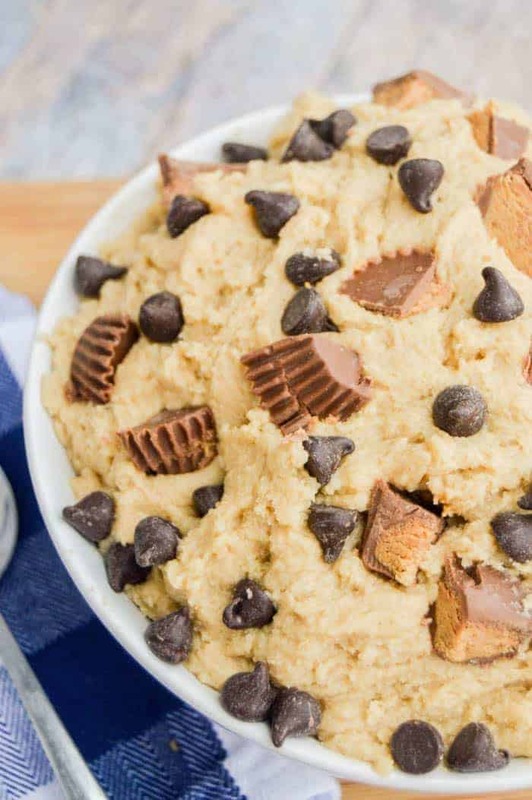 Wait you can, this Chocolate Chip Peanut Butter Cup Cookie Dough is made to be eaten not baked! In a stand mixer or in a large bowl with a hand mixer cream together butter and sugar. Slowly add in milk and vanilla extract and mix until well combined. Now just dd sugar and flour and continue to mix until combined. Fold in chocolate chips and chopped peanut butter cups. Eat it with a spoon and enjoy! Peanut Butter Cup Cookies: This is one of my favorite cookie recipes. It’s s peanut butter cup with a peanut butter cup INSIDE! 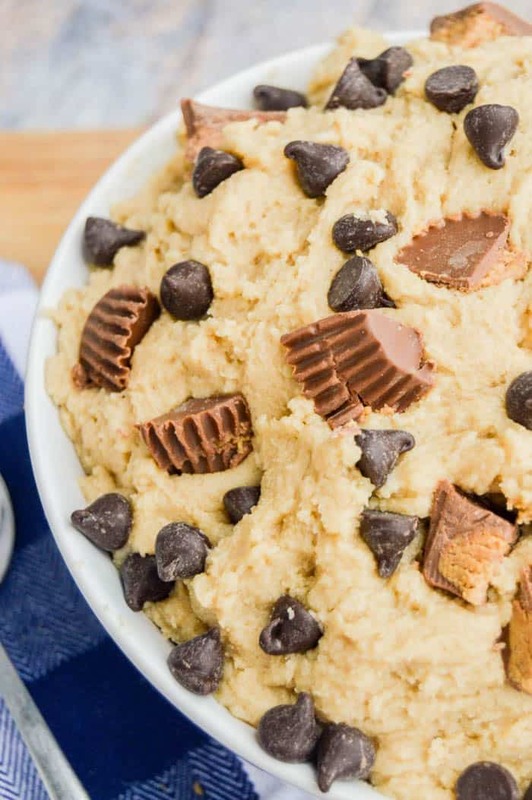 Peanut Butter Cup Cheesecake Dip: A creamy cheesecake dip full of chocolate chips and peanut butter cups. It’s the perfect dip for fruit! Chocolate Chip Peanut Butter Cup Cookies: These cookies are loaded with chocolate chips and chopped peanut butter cups! They are so good. Add sugar and flour and continue to mix until combined. Fold in chocolate chips and chopped peanut butter cups.